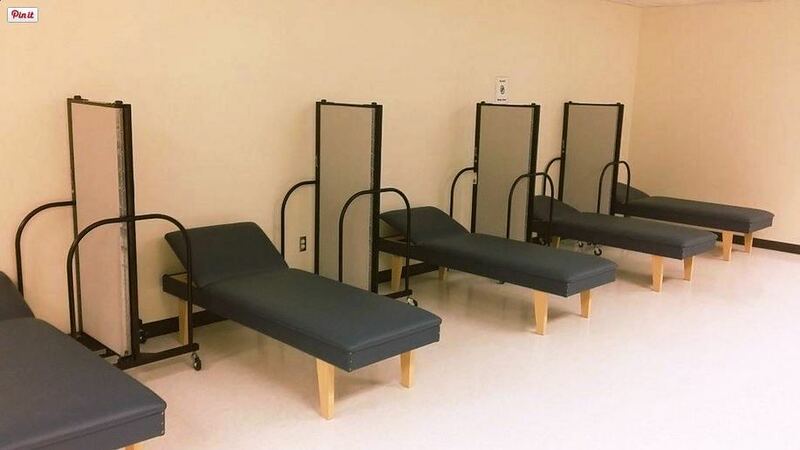 Lakes Central High School in St. John IN is ensuring student privacy and confidentiality by using Screenflex temporary walls between each recovery couch in their Health Services office. When a student arrives in the Nurse’s office, healthcare personnel simply expands one of the dividers which gives a student a private area to test their sugars, take a breathing treatment, rest, or be examined. Having a way to divide each area is also imperative when you have students who have entered the nurse’s office with contagious diseases.